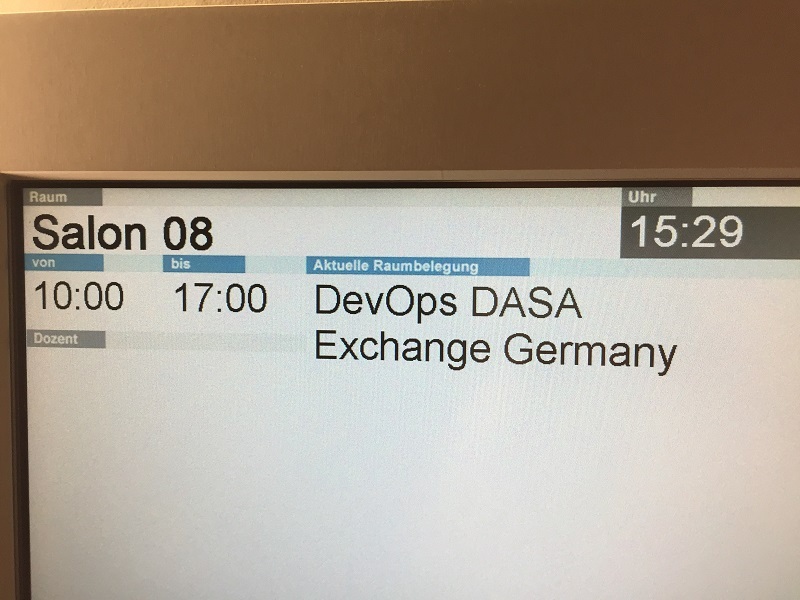 So basically, it was a introduction of the DASA ant the DASA competence model and the official DASA Embassadors in Germany (https://www.devopsagileskills.org/members/ambassadors/) and an experience report from one company who introduced devops in their daily production! 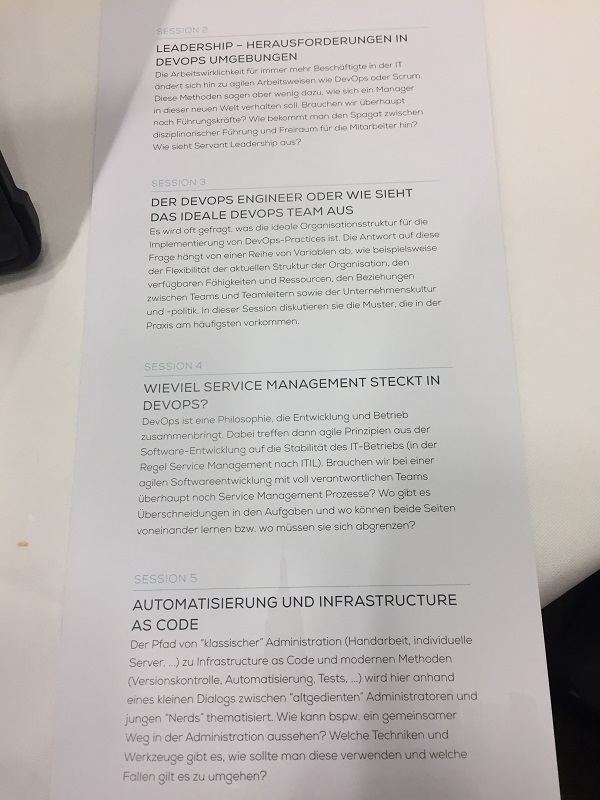 Roundtable 1: Does a real “Devops Engineer” exist?! 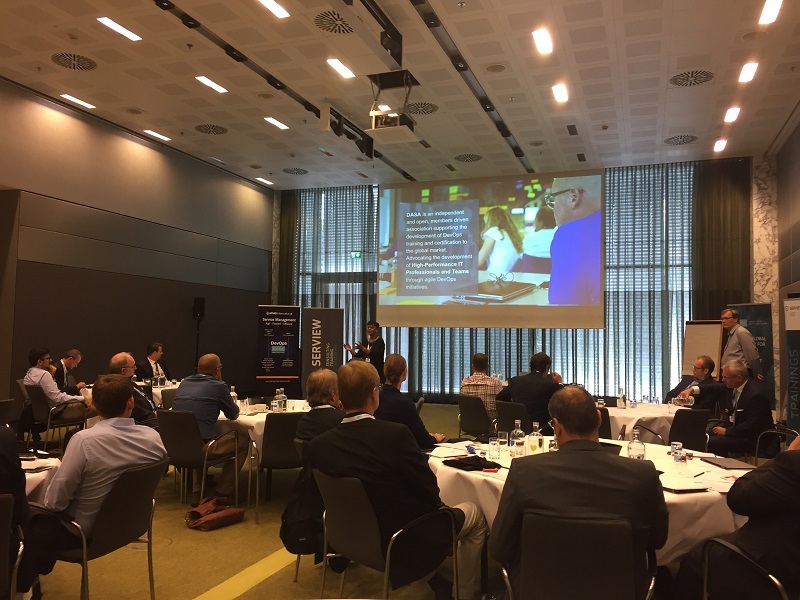 / How does a ideal “Devop Team” look like?! 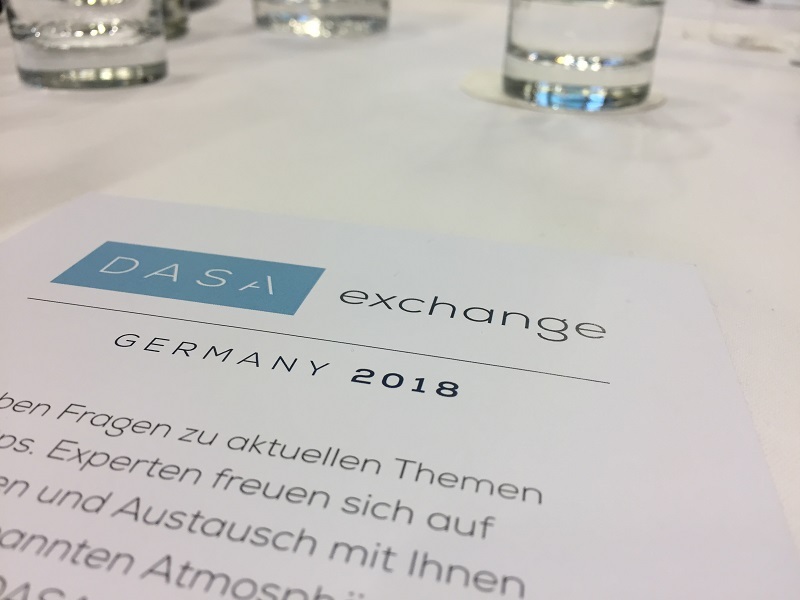 The DASA Devops Exchange was a really interesting event and I strongly recommend you to investigate the DASA Devops Principles!